Last weekend's Round 14 of AFL Matches proved a season series defining moment for many clubs . 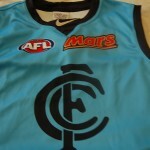 Many loyal fans have to face the uncomfortable truth that their beloved team , just won't make the 2012 Finals . Others , particularly those who follow one of the six teams , jostling for that coveted eighth spot , keep hoping . Many watched a disorganised St Kilda team , relinquish the tightly held eighth spot, to a determined NMFC . Speculation again abounds about hiring and firings in the senior coaching positions , of several underperforming AFL Clubs . Fans endure much for the love of their team . 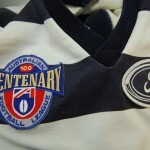 Miserable weather , hopeless public transport , overcharging by the AFL , posturing by the League leaders , and the shrinking of their beloved football jumper , jersey , guernsey after a season of pie and beer. Sledging by rival fans is usually accepted good naturedly , and adds to the jocularity and enjoyment of the match . 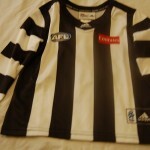 A blockbuster is planned on Friday night at the " G " , between league heavyweights Carlton and Collingwood . Its footy, anyone can win . 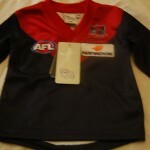 This entry was posted on Thursday, July 5th, 2012 at 10:18 am	and is filed under AFL, football jumpers, NRL. You can follow any responses to this entry through the RSS 2.0 feed. Both comments and pings are currently closed.